Does your knowledge of wine stop at pairing white wine with fish and red wine with meat? 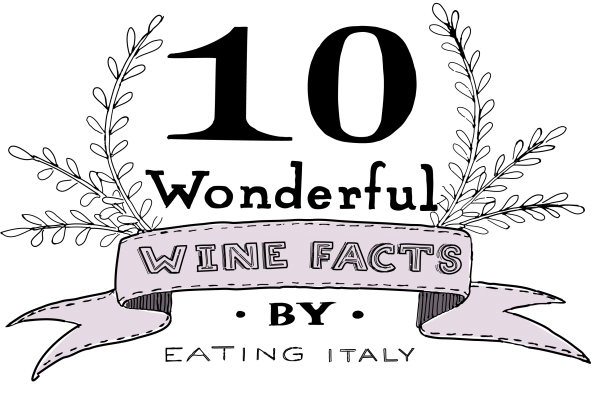 Fear not: we’ve collected 10 amazing facts about (Italian) wine from our resident sommelier, Marco Lori, and turned them into this handy info-graphic, gorgeously illustrated by Helsinki-based designer and illustrator Ilona Oksanen. 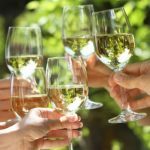 We can guarantee that next time you throw a dinner party, you’ll be able to wow your guests with all your new-found wine knowledge. You’re welcome. 1. The word vino (wine) has a romantic Sanskrit origin. The word vino comes from the Sanskrit word “venas” which means “to love”. From the same word comes the name “Venus” – the Roman goddess of love. It should come as no surprise, then, that we use the word to identify a drink that’s pleasurable, sociable and full of sensuality – a treat for all the senses, and something that we remember long after we’ve tasted it. 2. Pasta with red sauce goes with red wine; pasta with white sauce goes with white wine. Pasta with a simple butter and sage sauce works best with a fresh, young, clean wine, such as Prosecco. Spaghetti with clams and zucchini pairs with a good aromatic wine, such as Falanghina. An egg pasta such pappardelle with porcini mushrooms requires full-bodied white wines, such as Verdicchio. A rich, savory spaghetti alla carbonara goes perfectly with a traditional Frascati Superiore. The presence of tomato in the sauce, as in bucatini all’ amatriciana, means we want the wine to counteract the slightly sweet oiliness of the dish. A Montepulciano d’Abruzzo is the perfect companion – succulently fresh with soft tannins. Want to learn more about pairing wine with Italian food? Join our Italian Wine & Food Pairing Class! 3. Putting a metal spoon in the neck of an open bottle of sparkling wine stops it from going flat: MYTH! At some point in our lives, we’ve all put a metal spoon into the neck of a bottle of sparkling wine in the belief that this will stop the wine going flat. There’s only one way that this could work, however: if the spoon is colder than the temperature of the wine, it will encourage the carbon dioxide to stay in the bottle rather than come out. But put the bottle in the fridge and both the liquid and the spoon will reach the same temperature pretty quickly – goodbye bubbles! 4. Adding salt to ice when chilling wine will cool it down much quicker. You’re at home after a long day at work, and there’s only one thing that will do: a nice glass of chilled white wine. But disaster strikes and there’s none in the fridge! How can you chill the bottle as quickly as possible? Put it in ice – and, better still, add salt to the ice. Doing this lowers the temperature of the ice and therefore chills the wine more quickly. Just be careful not to touch the salted ice with your bare hands – ice burns are very painful! 5. There’s a reason that wine bottles are almost always 75 cl! There are several theories about how 75 cl came to be adopted as the standard measure worldwide, but it’s only since 1700 that people have been storing wine in glass bottles of around this size. One theory is that this was the lung capacity of the average glass blower, who defined the size of the bottle created with just one blow. Another theory is that 75.7 cl was one-fifth of a gallon – a unit of measurement common in Anglo-Saxon countries, where it has long represented the bottle size for wine and spirits. Today, the measurement has shifted slightly to 750 ml to adapt to metric standards. 6. A “Tastevin” is a small silver goblet, previously worn around the sommelier’s neck to taste wine. Ever seen a sommelier in a restaurant wearing what looks like a large medal on a chain? Chances are, he or she didn’t win the Olympics. It’s most likely a “Tastevin”: a small silver bowl that was once used for tasting wine. Wide and shallow, with plenty of indentations, it allowed the wine to breathe quickly so that the sommelier could quickly assess its flavor and color. Today the “Tastevin” is no longer used, having been replaced by crystal glasses. 7. Want to know if your Chianti is the real deal? Check the label for the Black Rooster symbol! Look at a bottle of authentic Chianti Classico and you’ll spot the familiar symbol of a black rooster on the label. The legend of the black rooster dates back to the Middle Ages, when the republics of Florence and Siena fought bitterly against one another, and the Chianti area in between the two cities was the subject of continuous dispute. To put an end to this and establish a firm border, a bizarre system was adopted. Two knights were to set off from their respective cities at dawn, with the starting signal marked by the crowing of a cockerel. The decision on the choice of cockerel was arguably more important than the choice of horse and rider. The people of Siena chose a white rooster, while the people of Florence chose a black one. The latter was held in darkness and starved for several days, which was all part of the strategy. On the fateful day of the knights’ departure, the black rooster immediately began to crow loudly, even though dawn was still a long way off. The Florentine knight set off immediately, with a huge advantage over the knight from Siena who had only set off at first light when the white rooster began to crow. The boundary of the Chianti area was defined by this race – hence the appearance of the black rooster on wine labels. So, as you can see, there’s not a banana tree in sight! 9. Dry Champagne should never be served with wedding cake. Yes, you’ve been doing it wrong all these years. There’s no better way to ruin a delicious cake and an expensive bottle of wine in one fell swoop. Classic Champagnes are generally very dry – and the contrast between the dry, almost bitter, sparkling wine and the sweet dessert is nothing less than an assault on the taste buds. Do yourself (and your guests) a favor by pairing your wedding cake with a sweet wine like a Passito, Sauternes, Ice Wine or the sparkling Moscato Asti DOCG. It’s ok, there’s always your second marriage to get it right – right?! 10. Yes, there is such a thing as an impossible pairing! Try pairing a wine with raw artichokes, spinach, bitter cocoa, sour pickles, hot chili peppers, citrus fruits or ice cream, and you’ll know exactly what we mean. No wine complements these strong flavors, and it’s impossible to find a pairing that tastes good! Want to know more about what makes a great food and wine pairing? (And, just as importantly, the opposite!) Join our Italian Wine & Food Pairing Class in Rome for an unforgettable evening!